This article was written without taking into account websites and blogs on the subject. Scientific literature is the only source of information used. ‘Paleolithic age diet’ is the term used to describe the diet of prehistoric humans. Our eating habits and decreased physical activity play a crucial role in the onset of so-called lifestyle diseases (e.g. : coronary artery disease, hypertension, type 2 diabetes, etc.) in a pandemic manner. Surprisingly, these diseases don’t exist among the scant populations of contemporary hunter-gatherers who have not yet been exposed to Western lifestyles. The way of life of these people seems to have changed little since the Upper Palaeolithic age (about 40,000 years ago!) (Chauveau et al., 2013; Eaton et al., 2000). Some researchers have linked the current deplorable state to the rapid and frequent changes occurring in our environment in the past few decades. What is intriguing is that in contrast to our environment, and in particular to the food industry (i.e., to people’s diets! ), our genome itself (all our genes), has hardly changed. What this all goes to show is, socially, we are well and truly in the 21st century, but genetically, we have remained in the Upper Palaeolithic age. Some believe that this temporal gap between genome and environment might explain the current tidal wave of lifestyle diseases (Eaton et al., 2000). The advent and popularization of the Paleolithic diet can be partly linked to these rather rational explanations. However, not everyone agrees with the above-mentioned facts and we should also take into account several variables as well as the changing context. If we step back in time, scientific literature reveals that foods eaten in that era normally consisted of ripe and sweet fruits, berries, meat, fish, shellfish, insects, larvae, eggs, bone marrow of animals, roots, bulbs, nuts and seeds other than grasses. Oddly, this type of food provides about 25% of the energy needs of a typical individual today. Which means that as of now, most of our daily energy comes from grains, dairy products, sugars, refined fat and vegetables. 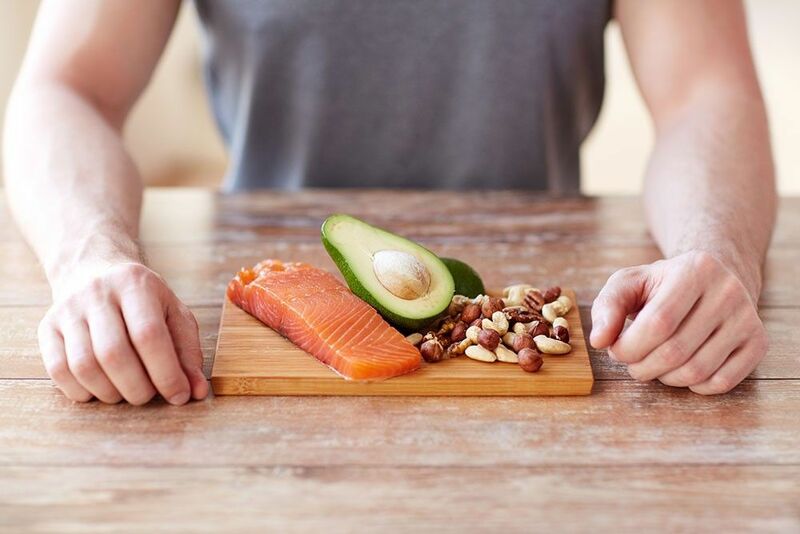 What’s more, some common features exist between the discourse of certain well-known nutritional organizations and the foundations of the paleolithic diet. For example, eating less sodium and refined sugars in combination with a diet richer in fruit and vegetables. Standard techniques used to reconstruct the diet of “ancient humans” are mainly based on the analysis of their teeth and also on the size and structure of the jaw. The anthropological exploration of camp sites serves to highlight bone remnants of animals and fish that were consumed, as well as the tools used to cut and prepare them. It’s possible that new technologies of microscopic dental analysis and chemical analysis techniques will also lead to surprising revelations about the diversity of our ancestors’ diet. Furthermore, the macronutrient (proteins, carbohydrates and fats) ratios found in the latter’s diet seem to vary according to the historic sites surveyed and the analytical methods used. Several versions of the Paleolithic diet can be found on Internet, in books, blogs, etc. But are these sources always reliable? Certain scientific sources have suggested that the carbohydrate intake was perhaps not as low as suspected. As mentioned, this article has been written solely on the basis of scientific literature available on the subject. We are also still eagerly awaiting scientific studies in which sportsmen will take part! Several sportsmen from many disciplines have already adopted this diet. Lindeberg, S. (2005). [Paleolithic diet and evolution medicine: the key to diseases of the western world]. Lakartidningen, 102(26-27), 1976-1978. Cunningham, E. (2012). Are diets from paleolithic times relevant today? J Acad Nutr Diet, 112(8), 1296. Chauveau, P., Fouque, D., Combe, C., & Aparicio, M. (2013). [Evolution of the diet from the paleolithic to today: Progress or regress?]. Nephrol Ther, 9(4), 202-208. Kowalski, L. M., & Bujko, J. (2012). [Evaluation of biological and clinical potential of paleolithic diet]. Rocz Panstw Zakl Hig, 63(1), 9-15. Eaton, S. B., & Eaton, S. B., 3rd. (2000). Paleolithic vs. modern diets–selected pathophysiological implications. Eur J Nutr, 39(2), 67-70. 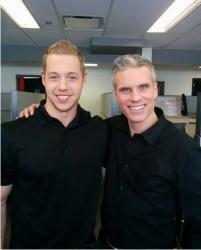 As the founder of www.nutritionniste-sportif.ca and a trainer in nutrition at www.xpertise360.com, Steven is a renowned sports nutritionist. Being recognized for his numerous talents and contributions in sports, Steven serves as a nutritionist for many athletes. He also helps with weight management.